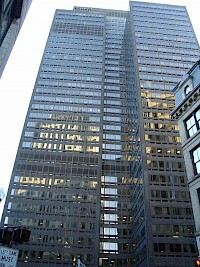 100 Summer Street is a high-rise building located in downtown Boston, Massachusetts. The building stands at 450 feet (137 meters) with 32 floors, over 1 million square feet (over 92,00m^2) of office space, and was completed in 1974. It is currently the 23rd-tallest building in Boston. The architectural firm who designed the building was Welton Becket and Associates. 100 Summer Street is notable for the distinctive bronze tint of its windows. 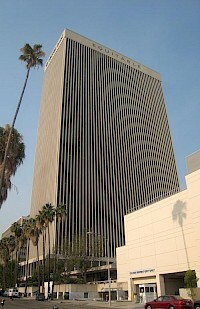 The Equitable Life Building is a 454ft (138m) tall skyscraper in Los Angeles, California. It was completed in 1969 and has 34 floors. It is tied with the Los Angeles City Hall for the 26th tallest building in Los Angeles. Welton Becket & Associates designed the building. The facade is made of precast concrete that sandblasted to expose the beige Texas limestone aggregate. 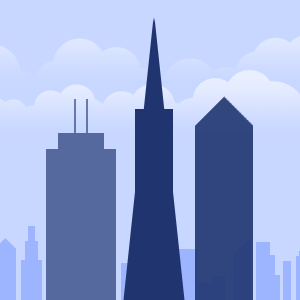 McKesson Plaza is an office skyscraper located on Market Street in the financial district of San Francisco, California. 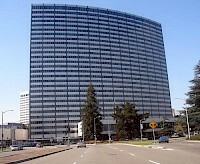 The 161 m (528 ft) 38 building serves as headquarters for the McKesson Corporation.